Ask The Science Chick: How Bad Is Sodium Consumption For An Athlete? Our science editor, Krissy Kendall, PhD, CISSN, answers your questions relating to nutrition and supplementation to optimize health and performance! How bad is consumption of sodium for an athlete? Is there really a need to limit it if I'm perfectly healthy? For years, we've been told that consuming too much sodium can lead to a whole host of problems. The more sodium you have in your body, the more water it binds to. For this reason, sodium was long thought to increase blood pressure—a risk factor for heart disease, stroke, and kidney disease. However, several studies have demonstrated no benefit to sodium restriction when it comes to preventing heart disease or death.1-3 While reducing sodium intake can lower blood pressure, the change is rather small and likely to have negligible effects on your health. An average person who reduces his or her salt intake from the median levels (around 3,500 milligrams a day) to the recommended levels may see a drop in blood pressure from about 120/80 to 118/79—not a meaningful change! Now, I'm not advocating the use of very high amounts of sodium on a daily basis. Yet I am in agreement with those who believe there is no longer any valid basis for the current sodium guidelines. Those guidelines recommend less than 2,300 milligrams a day (about 1 teaspoon of salt), and no more than 1,500 milligrams a day for those over the age of 50 or those who are at an increased risk for developing hypertension (blood pressure ≥ 120/80). There is no doubt that monitoring sodium intake in specific populations is warranted, but to make the same assumption for those who are apparently healthy makes no sense to me. Your body needs sodium. It helps regulate blood pressure and volume, is necessary for proper nerve and muscle function, and can add great flavor to food. If you're healthy and not at risk for developing hypertension, don't stress about sodium intake. Additionally, if you're a heavy and/or "salty" sweater (like yours truly), you are at an increased risk for sodium deficiency. In that case, it becomes even more important to make sure you're getting adequate salt intake. If you're healthy and not at risk for developing hypertension, don't stress about sodium intake. If you start noticing swelling in various parts of your body (due to excessive water retention), or a rise in your blood pressure (≥ 120/80), monitor your sodium intake more closely. Otherwise, salt up! I hear that Americans consume too much omega-6 and not enough omega-3 in their diets. How important is that ratio in the foods I consume? Omega-3 fatty acids rank among the most important nutrients for your body. They're essential to your overall health and can be beneficial for heart health, cholesterol levels, and whole-body inflammation. Omega-3 fats can be acquired from both animal and plant sources, although most experts will tell you animal-based omegas that contain EPA and DHA are better than plant-based sources. Omega-6 fatty acids are also essential for your health, and they play a crucial role in brain function as well as normal growth and development. These fatty acids are primarily sourced from corn, soy, canola, and sunflower oils. 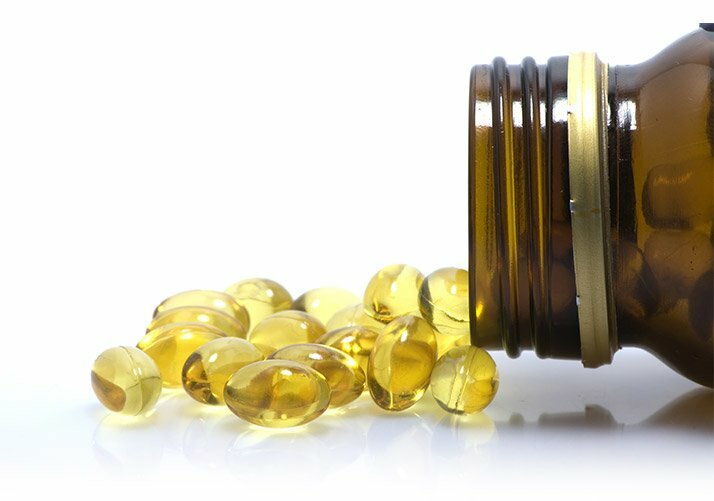 So if omega-6s are just as important for your health as omega-3s, why is it that we're typically told to supplement with just omega-3? The answer is simple: The standard American diet is already flooded with omega-6 fatty acids. Most people fail to consume sufficient amounts of omega-3, which can increase the risk for certain types of cancer and other serious mental and physical health problems. On the other hand, we consume plenty of omega-6—in some cases, too much—which can promote inflammation and contribute to the narrowing of blood vessels and blood clotting. 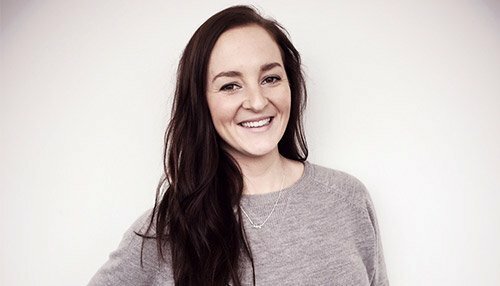 Are there advantages to getting your creatine from whole-food sources (like red meat) over consuming it via supplements? The short answer to this question is no. But let's look at this a little closer. Supplementing with creatine isn't new—we've been preaching about it for years. The benefits of creatine range from increases in strength and power to improvements in body composition and brain function. While your body is capable of producing creatine on its own, it also excretes about 2 grams a day. In order to optimize creatine stores in the body, we turn to diet and supplementation. One of the best dietary sources for creatine is red meat. It's estimated that every pound of raw meat contains 2 grams of creatine. Another great source of creatine is fish like tuna and salmon. But if your goal is to use only food sources to increase creatine stores, it won't come easily. One of the best dietary sources for creatine is red meat. It's estimated that every pound of raw meat contains 2 grams of creatine. You'd have to consume 2-3 pounds of raw meat or fish to get the same amount of creatine as supplementing with 5 grams of creatine monohydrate. Not a fan of raw meat? Plan to eat even more then, as cooking meat at higher heats breaks down creatine, leaving it less available for your body to absorb. So while it is possible to get the daily recommended daily dose of creatine (5 grams) through your diet, I'm not one to advocate eating that much red meat or fish every day. Not only will you see your grocery bill go up, but there are even some studies out there that suggest eating large amounts of red meat on a regular basis may shorten your lifespan.8 You may even see your gym time squeezed by the amount of time you have to spend in the kitchen preparing all that food. If you're looking for a safe and effective supplement to help boost your performance in the gym, creatine is for you. But just take the supplement. 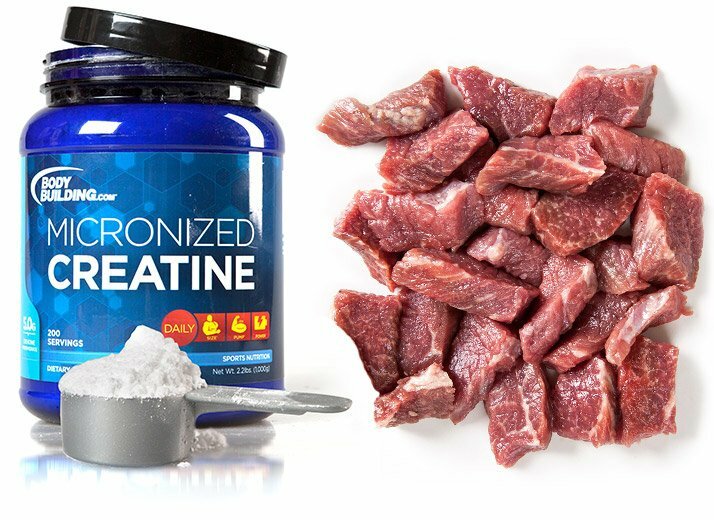 Taking one teaspoon of creatine is a lot cheaper and a heck of a lot easier than trying to eat three pounds of meat each day! Do you have a question for Dr. Kendall? PIace it in the comments section below—it might be chosen for an upcoming installment! McGuire, S. (2014). Institute of Medicine. 2013. Sodium Intake in Populations: Assessment of Evidence. Washington, DC: The National Academies Press, 2013. Advances in Nutrition: An International Review Journal, 5(1), 19-20. Rosner, M. H., & Kirven, J. (2007). Exercise-associated hyponatremia. Clinical Journal of the American Society of Nephrology, 2(1), 151-161. Kris-Etherton PM, Harris WS, Appel LJ, Nutrition Committee. Fish consumption, fish oil, omega-3 fatty acids, and cardiovascular disease. Arteriosclerosis, Thrombosis, and Vascular Biology. 2003;23(2):e20-e30. Pan, A., Sun, Q., Bernstein, A. M., Schulze, M. B., Manson, J. E., Stampfer, M. J., ... & Hu, F. B. (2012). Red meat consumption and mortality: results from 2 prospective cohort studies. Archives of Internal Medicine, 172(7), 555-563.